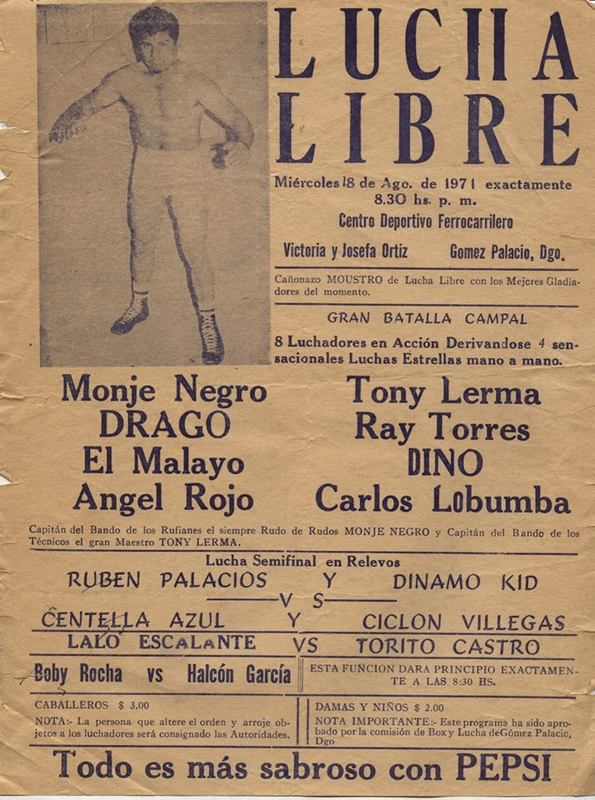 ## Drago's hair vs Torres' hair. 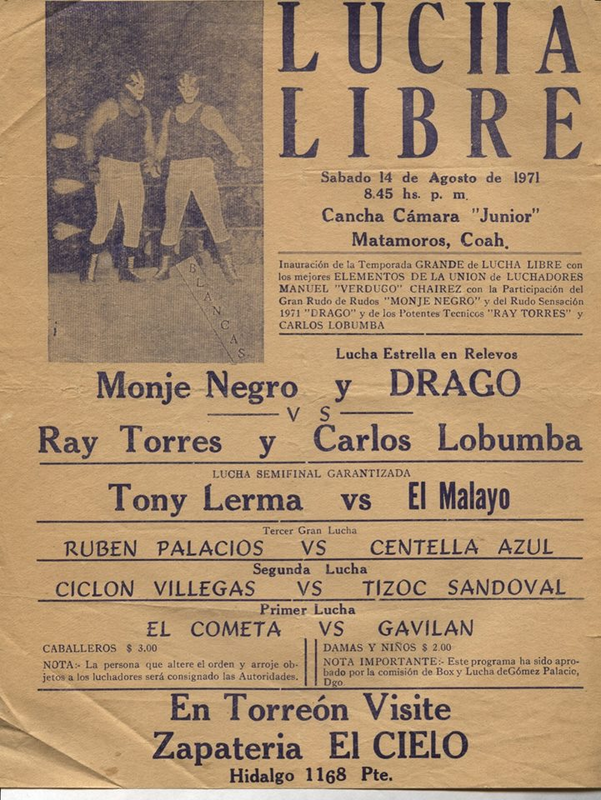 2) El Moro vs ? 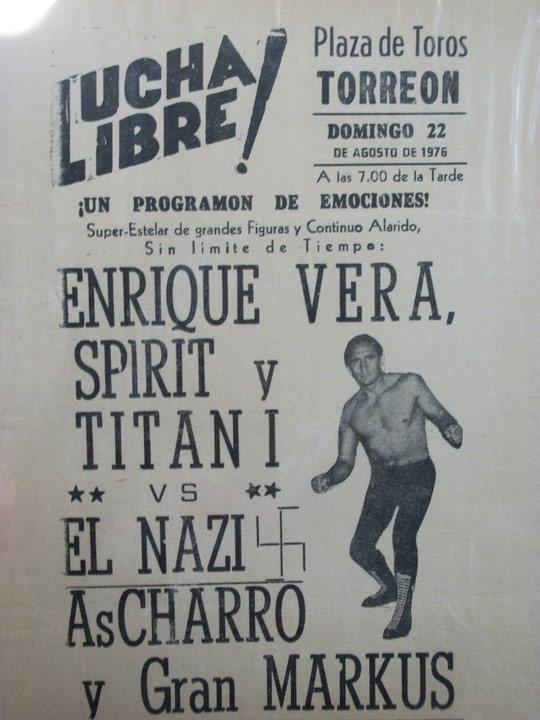 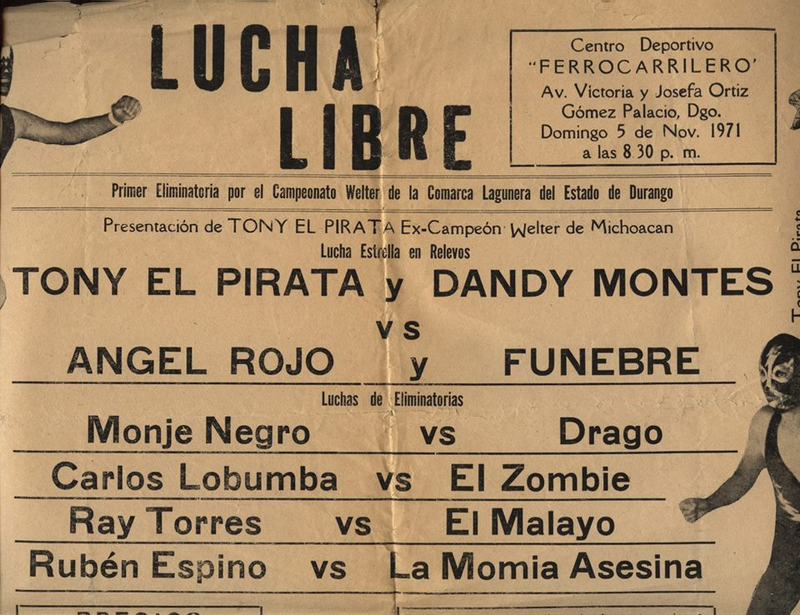 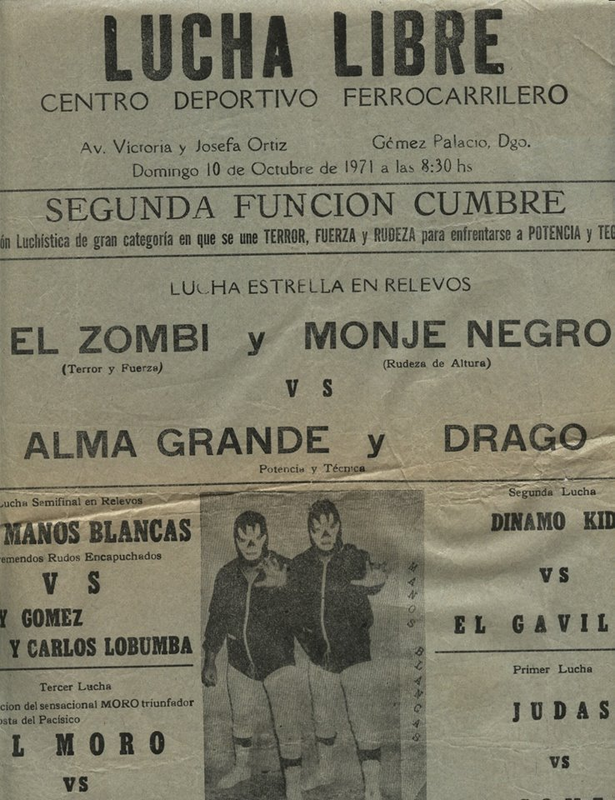 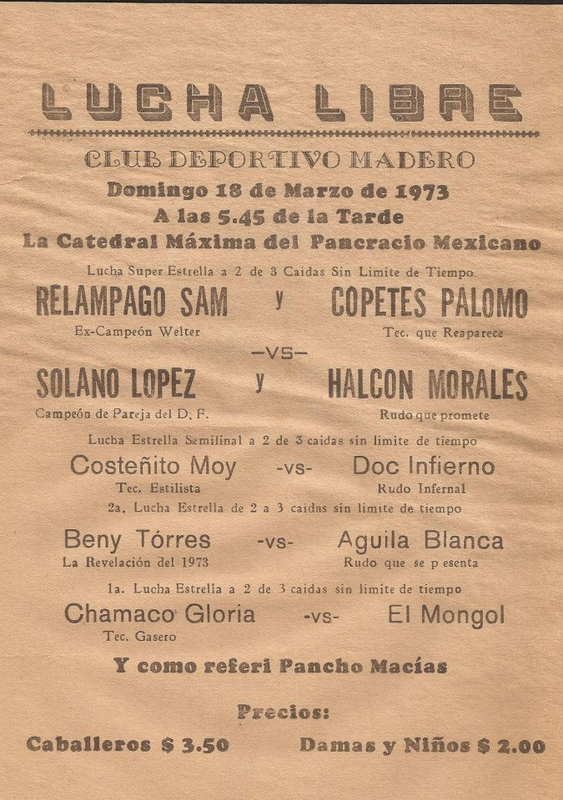 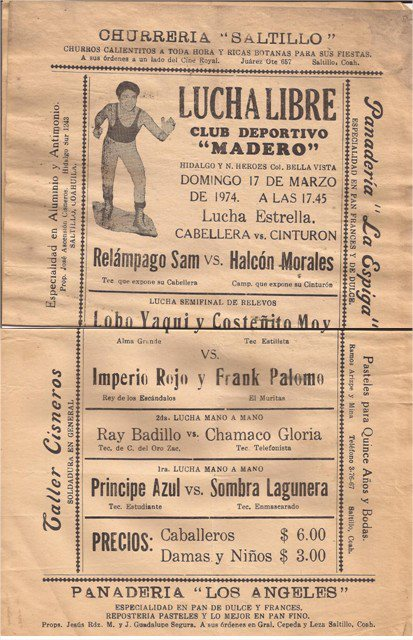 3) El Zombie & La Momia Asesina vs Carlos Lobumba & Dandy M.
## Mickey Vazquez is about to become Espanto III. 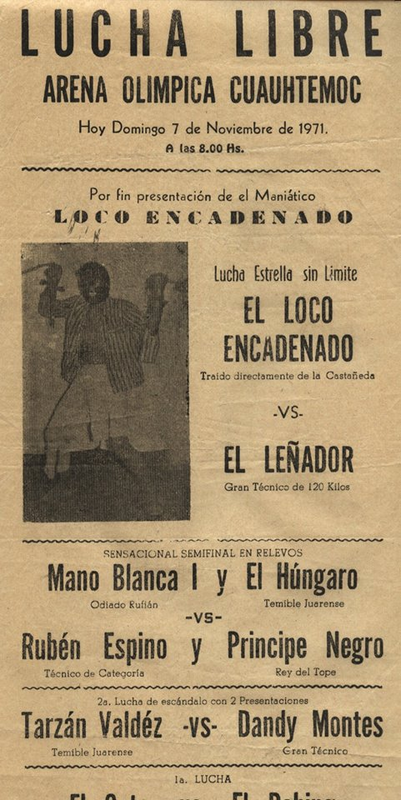 1) Príncipe Erik vs Reed Mr.
## listed as two Japanese karate fighters, these fighters come later in the year. 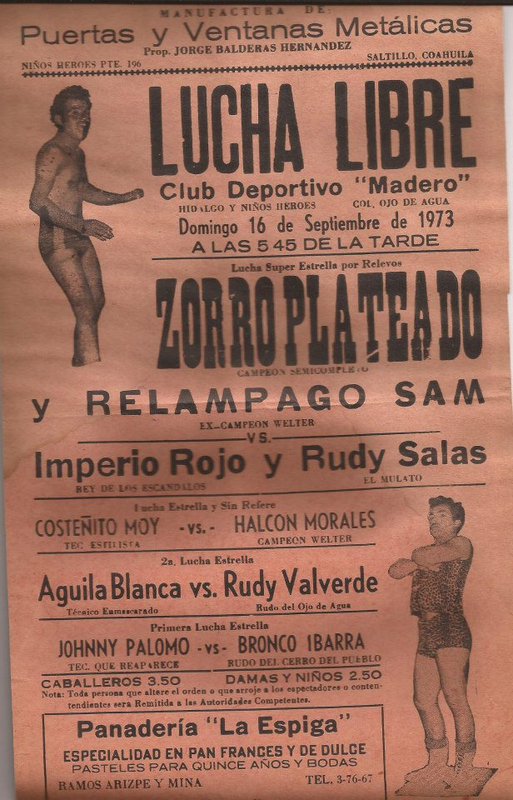 ## Valet probably not wrestling, likely missing a name. 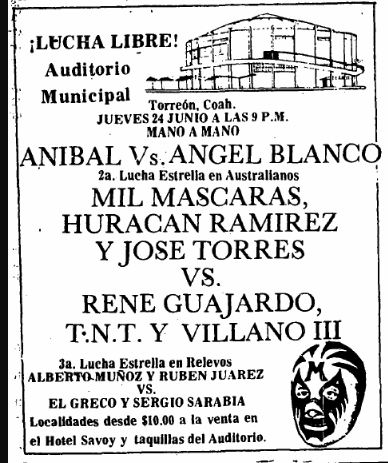 5) El Halcón & Terremoto vs Gran Markus & Li-Chang Event Notes: Máscara Año 2000 debuted on this day in this town, so likely appeared in one of the unlisted matches. 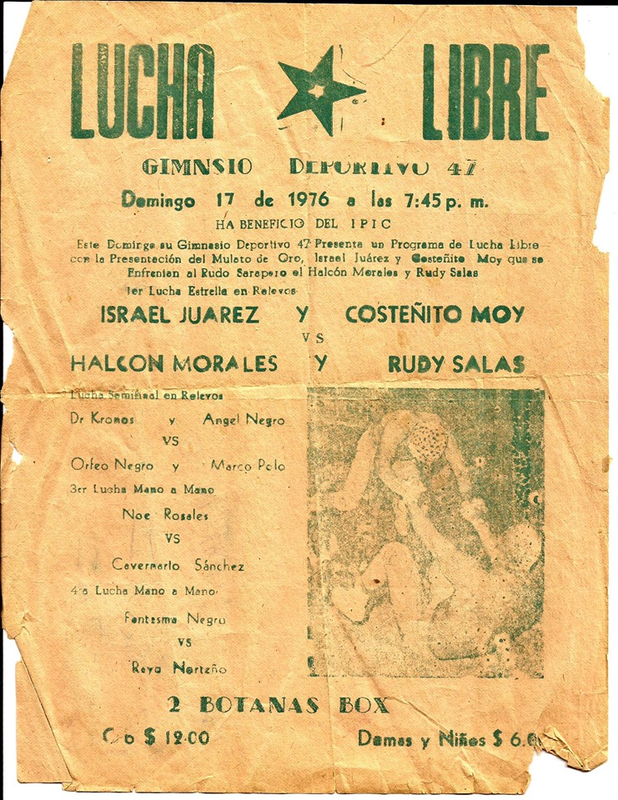 3) Espanto III, The King, Verdugo vs Halcón Suriano, La Sombra, Vicente Nuño Event Notes: Gonzalo Gomez taking over as promoter? 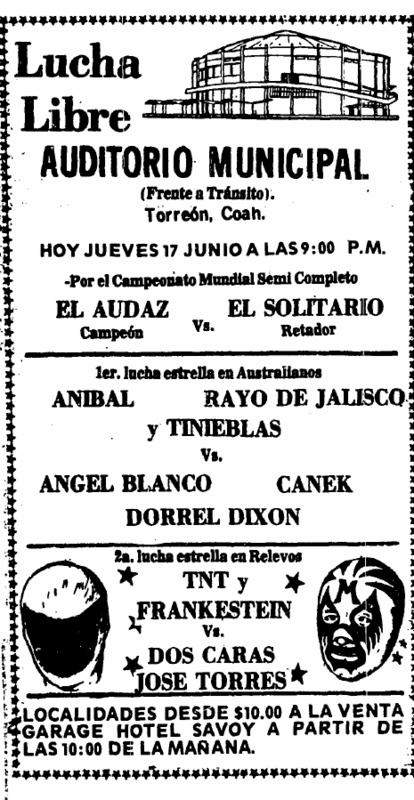 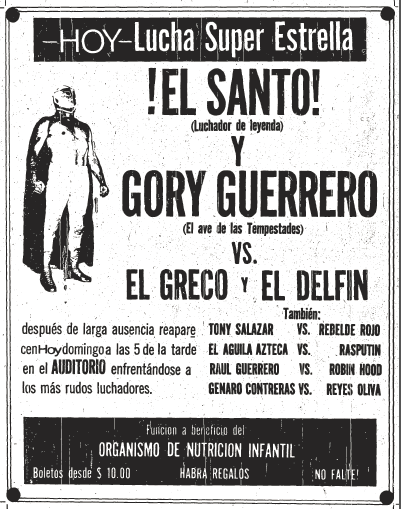 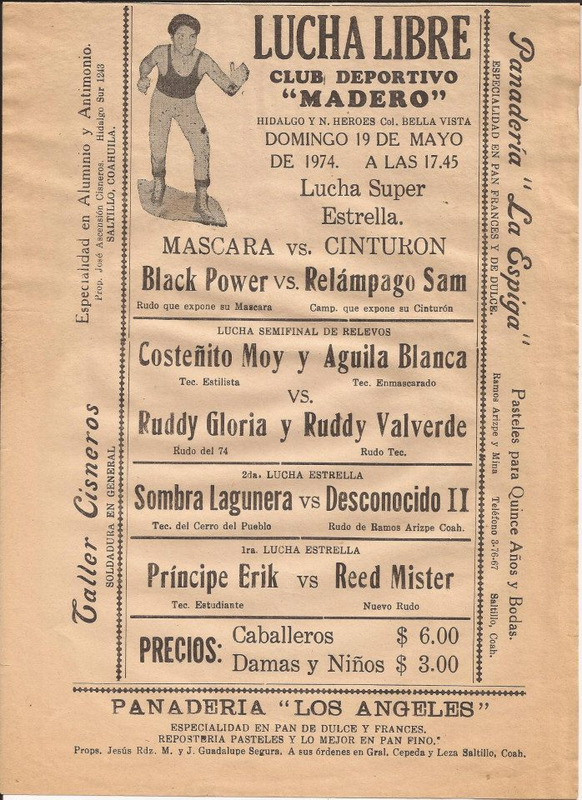 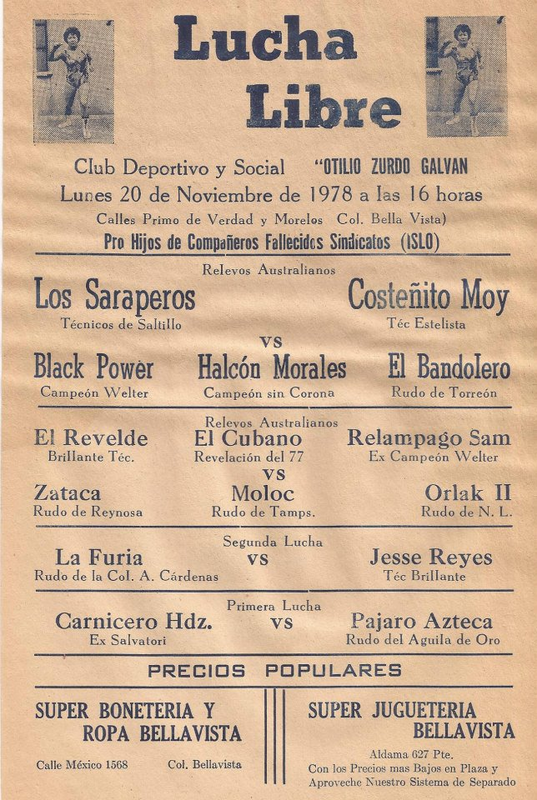 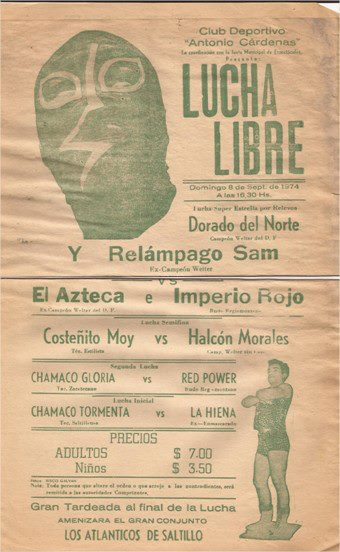 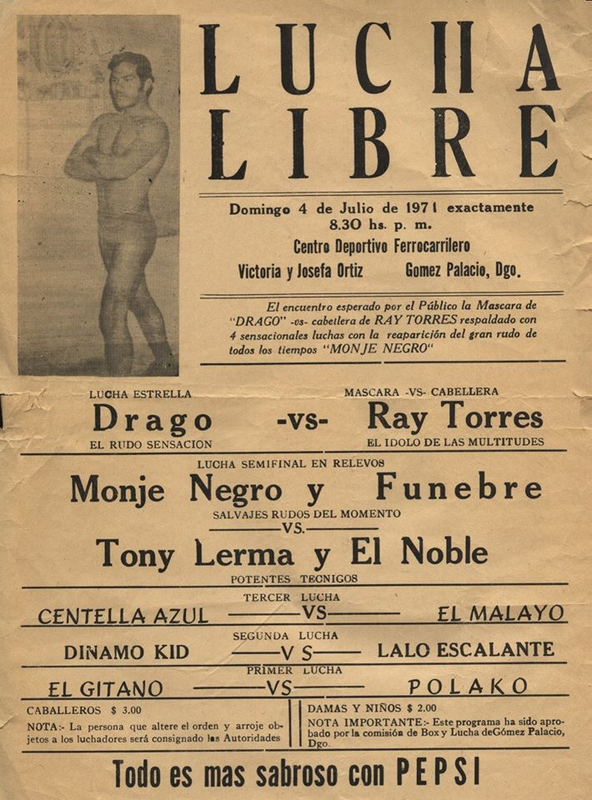 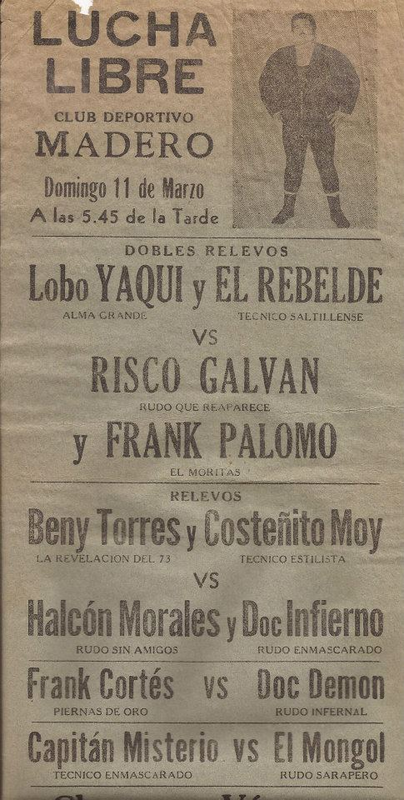 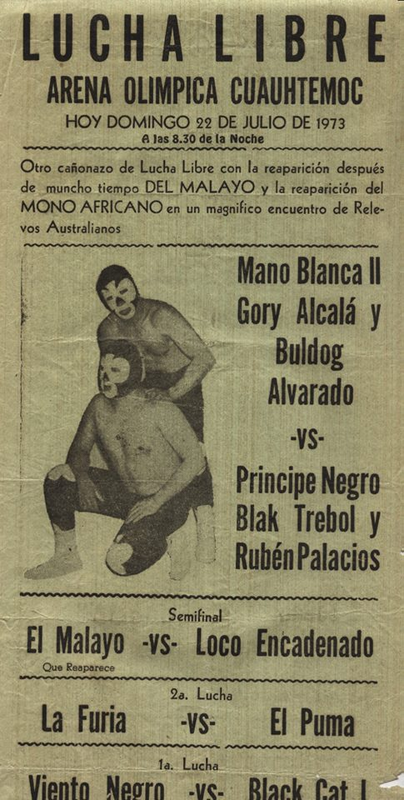 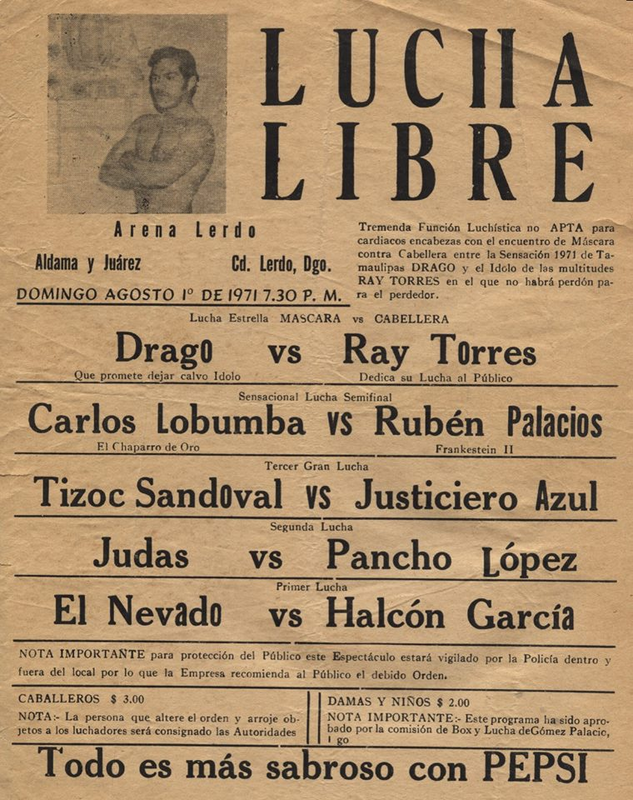 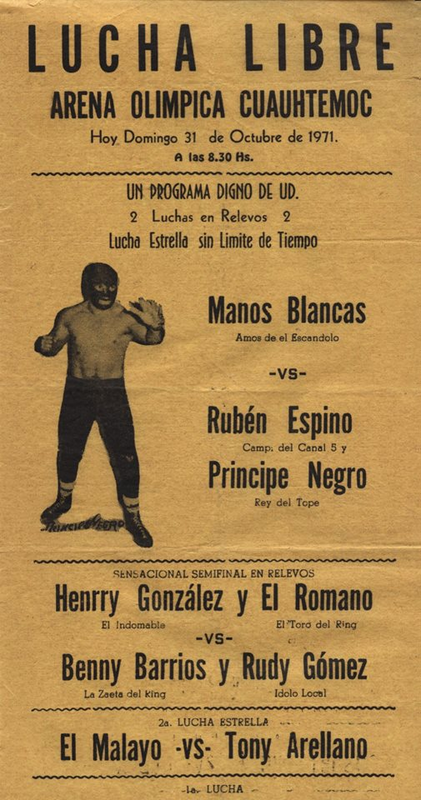 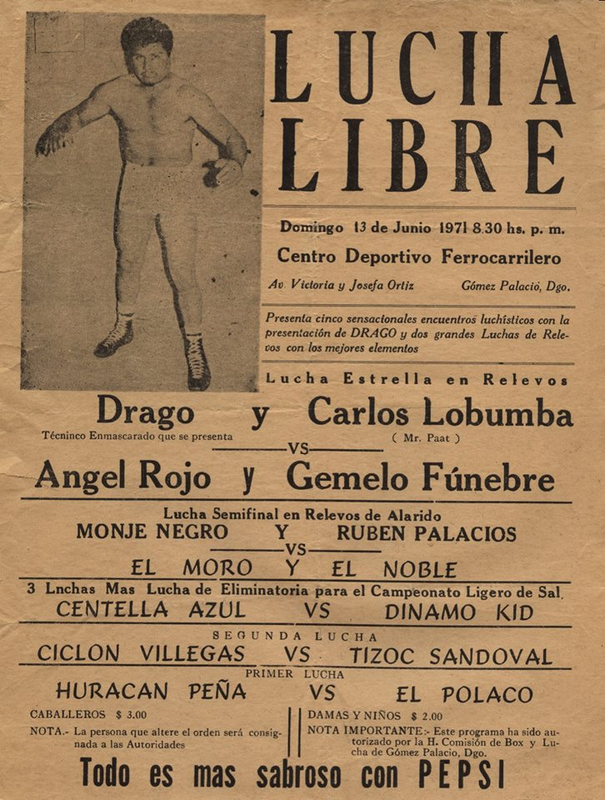 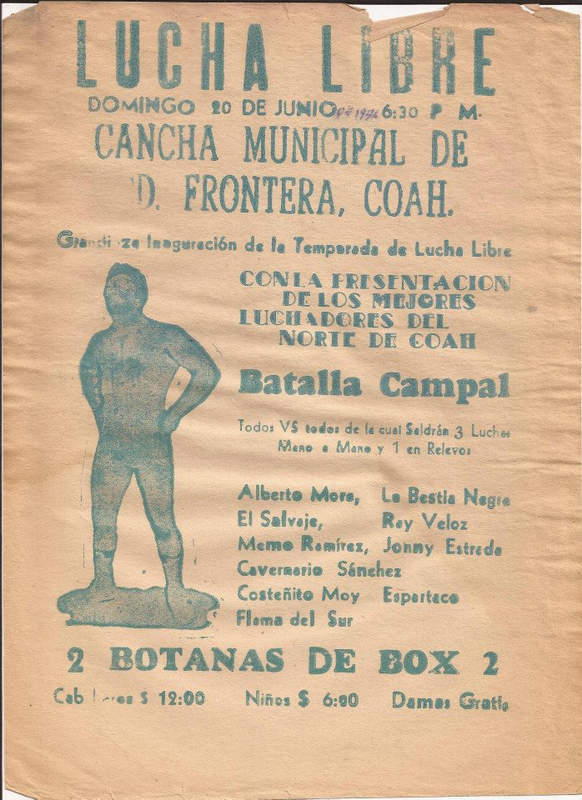 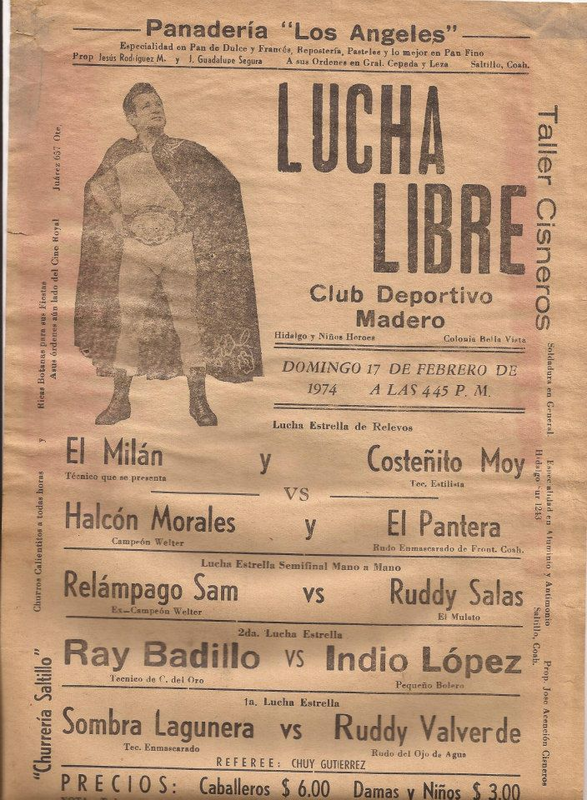 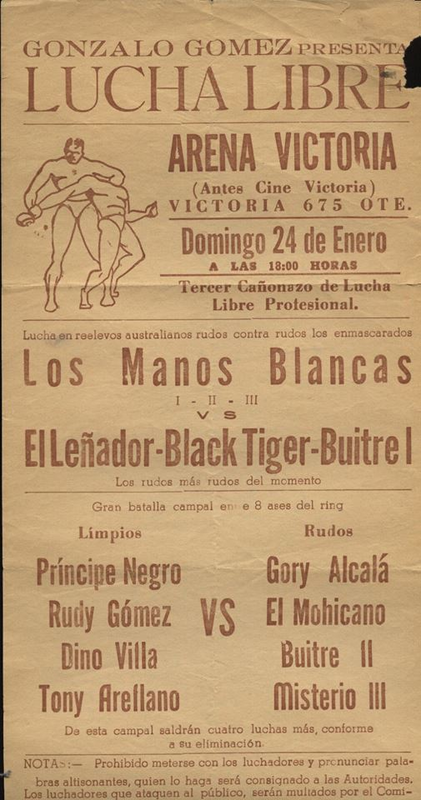 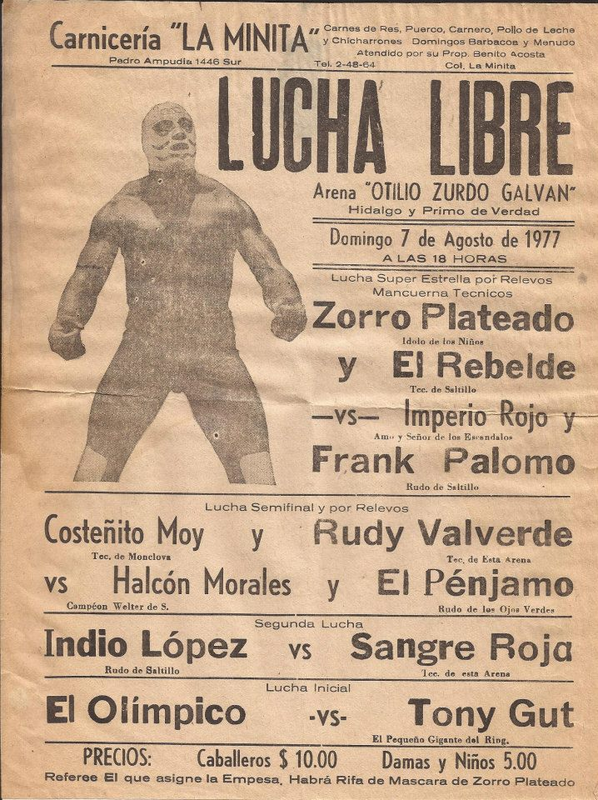 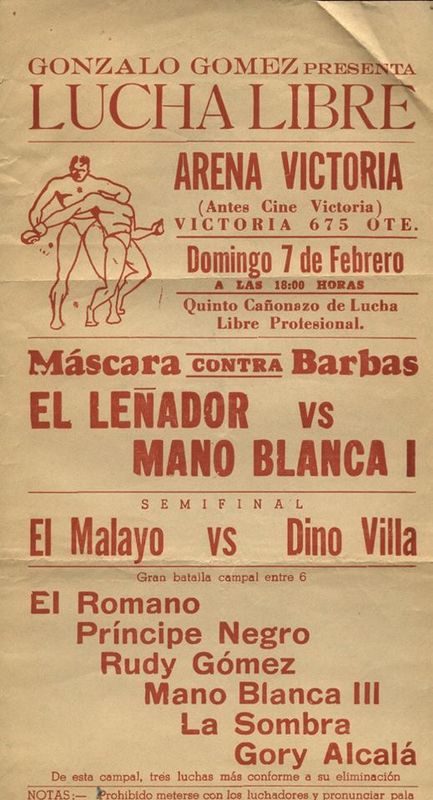 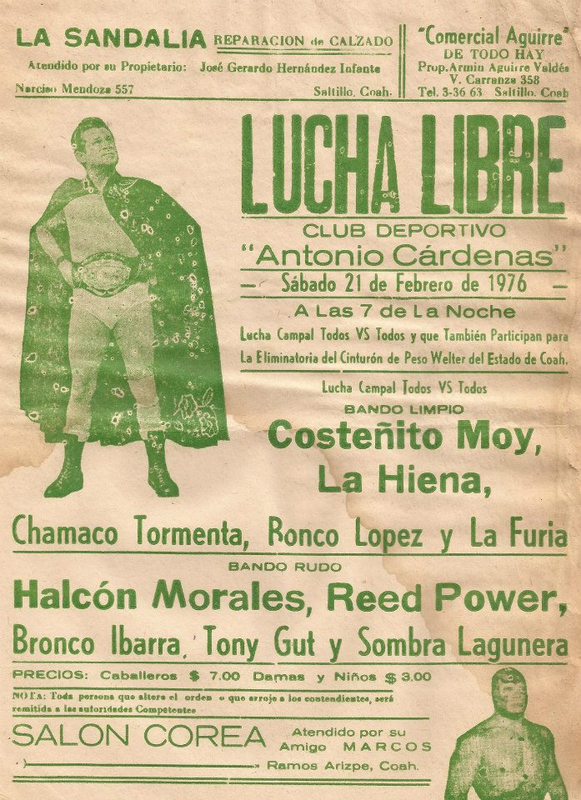 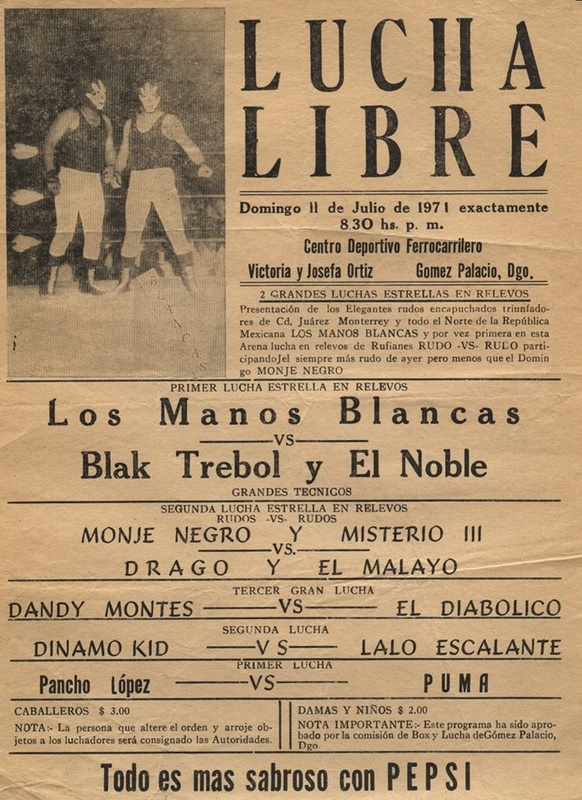 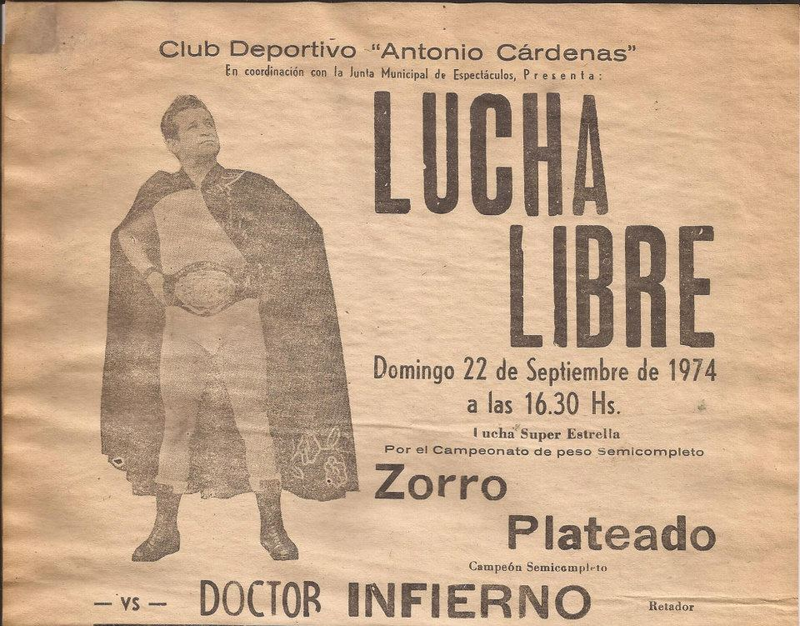 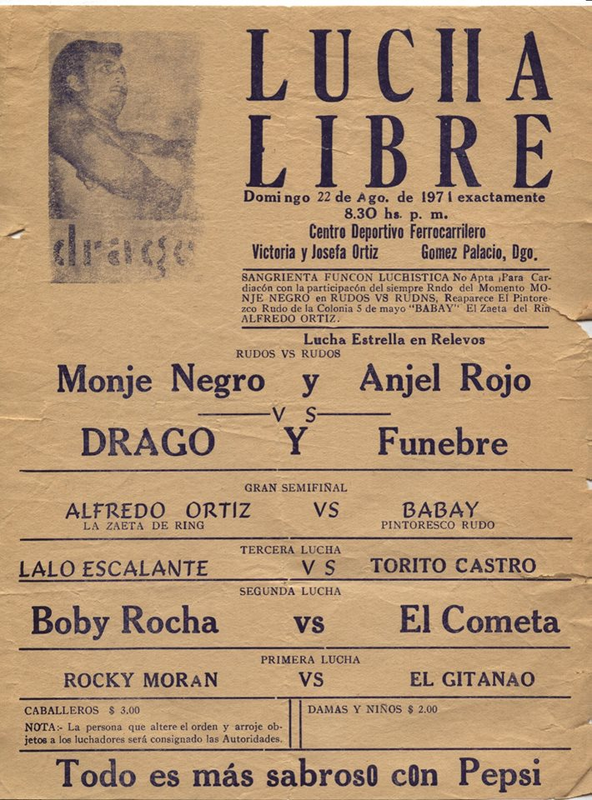 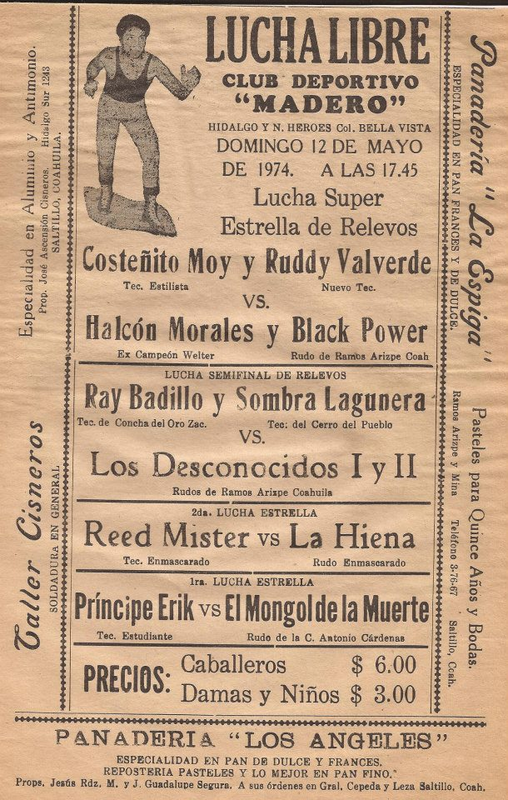 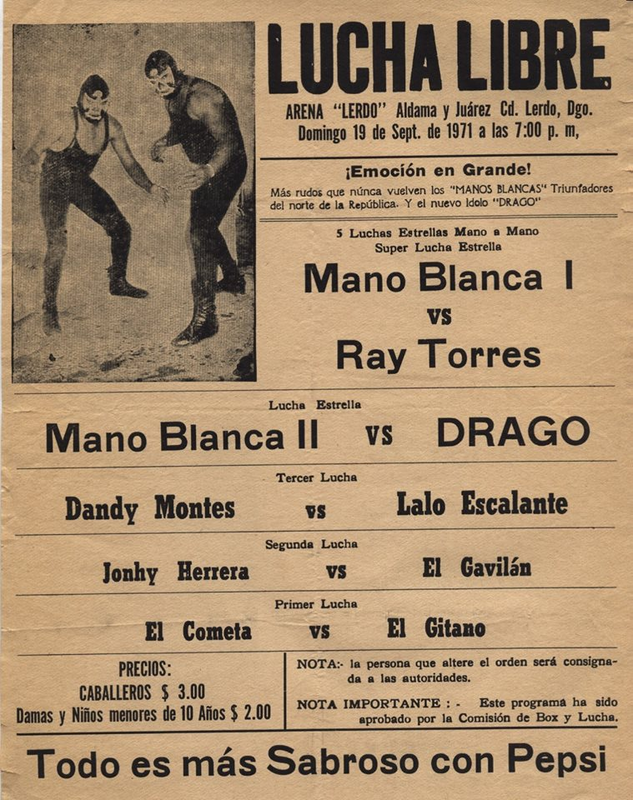 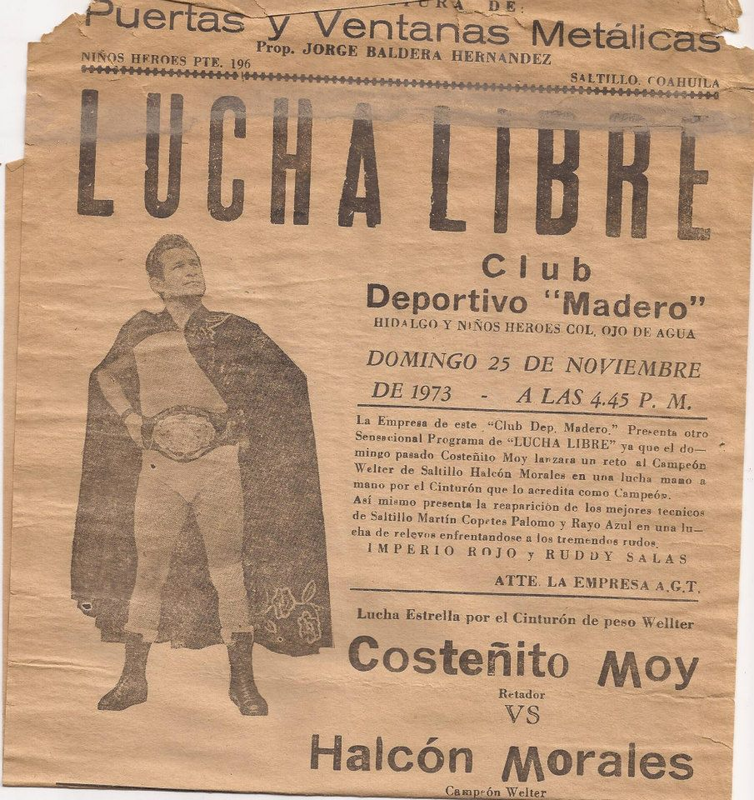 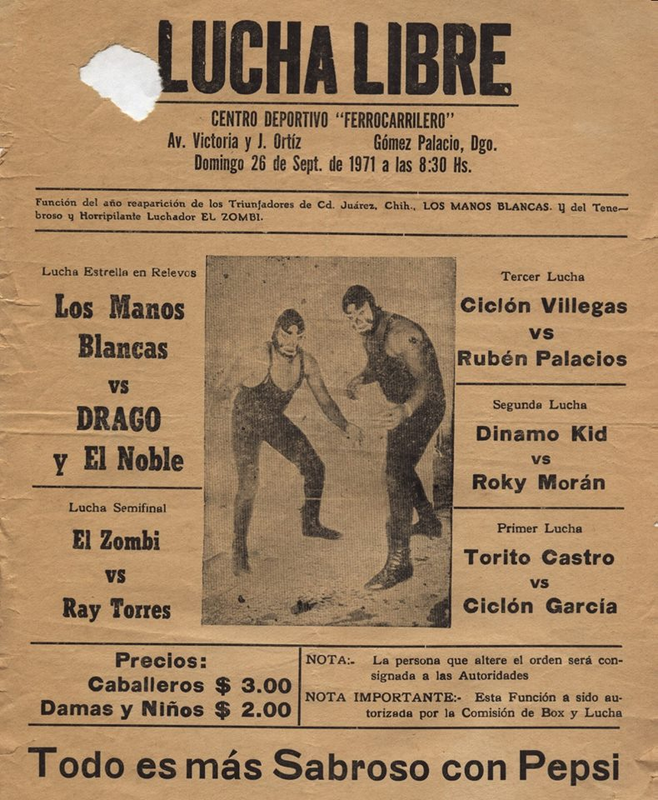 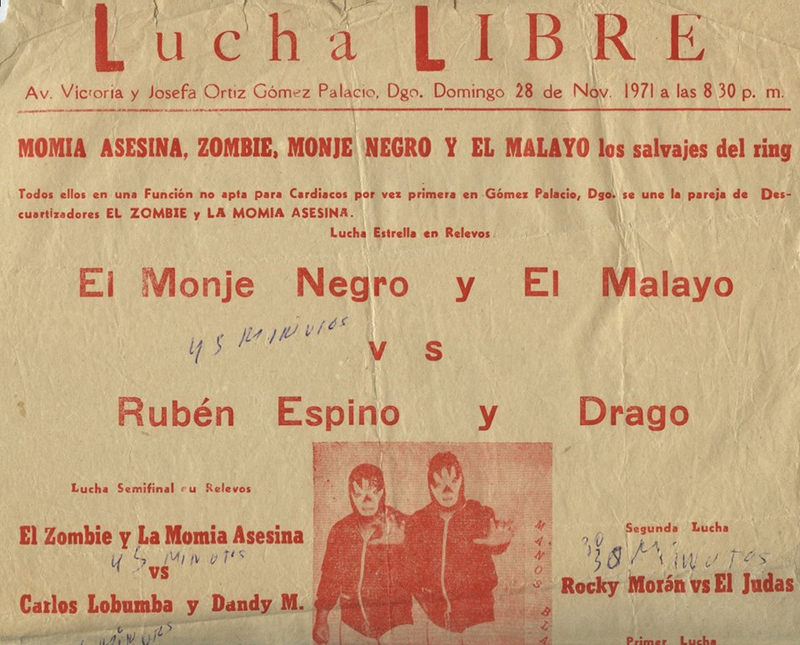 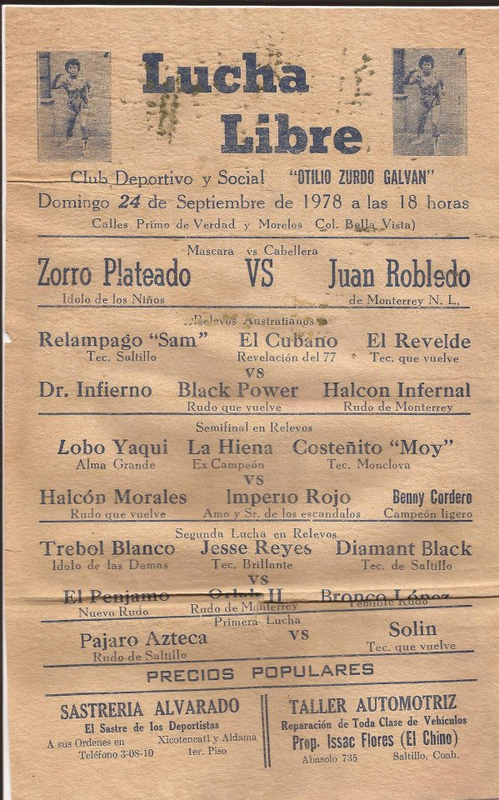 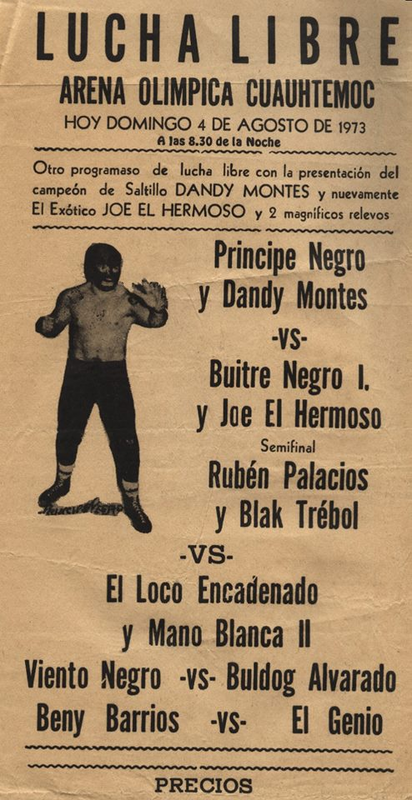 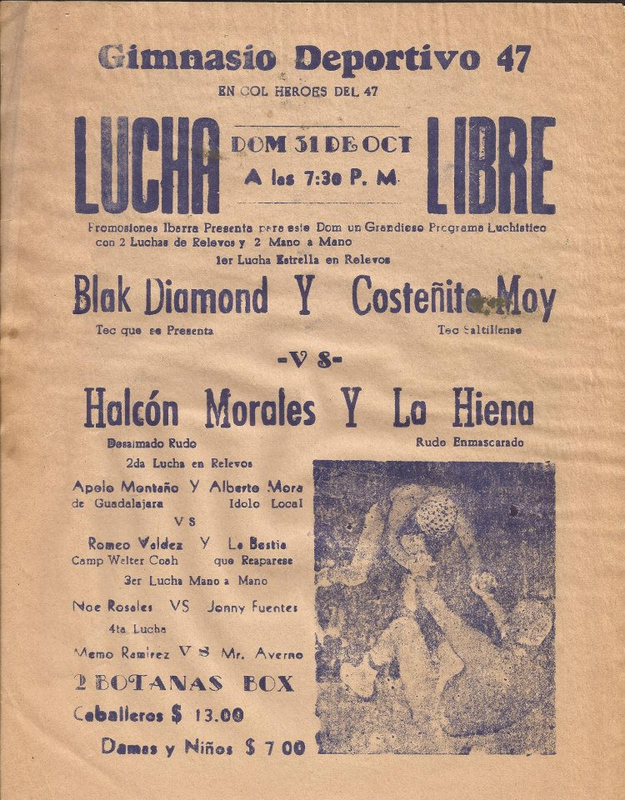 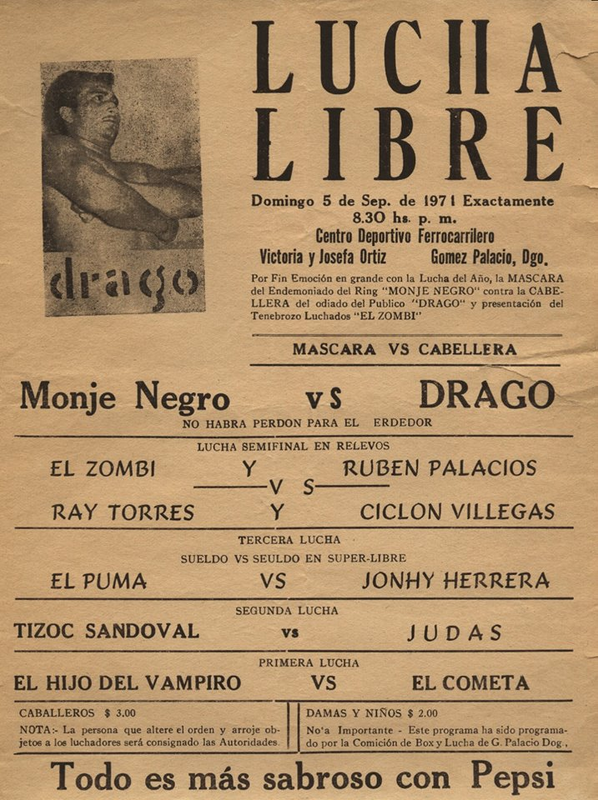 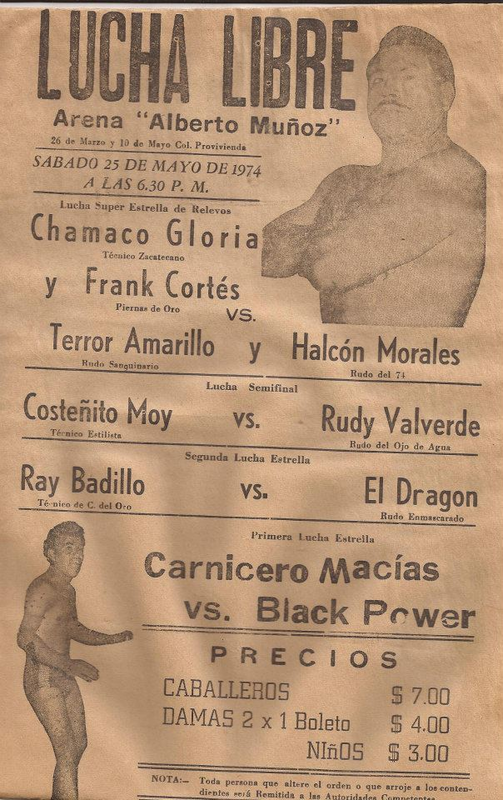 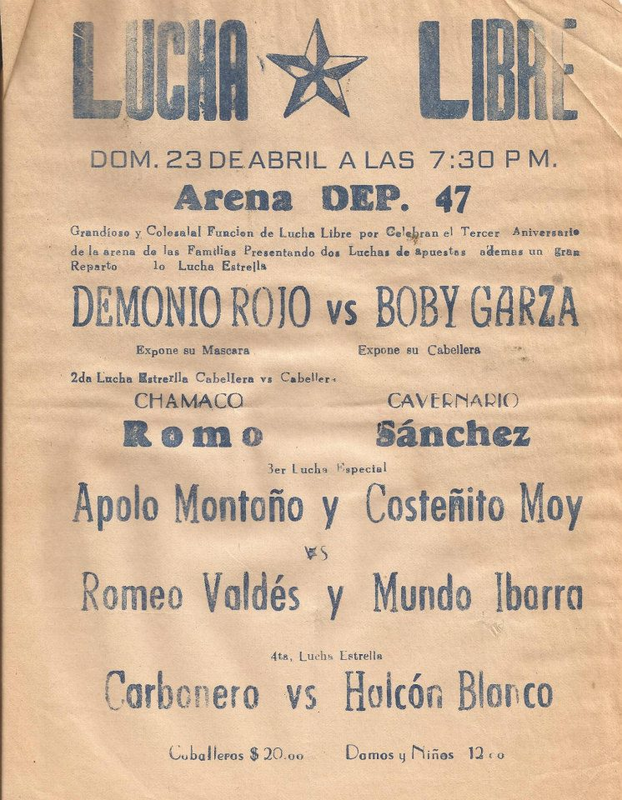 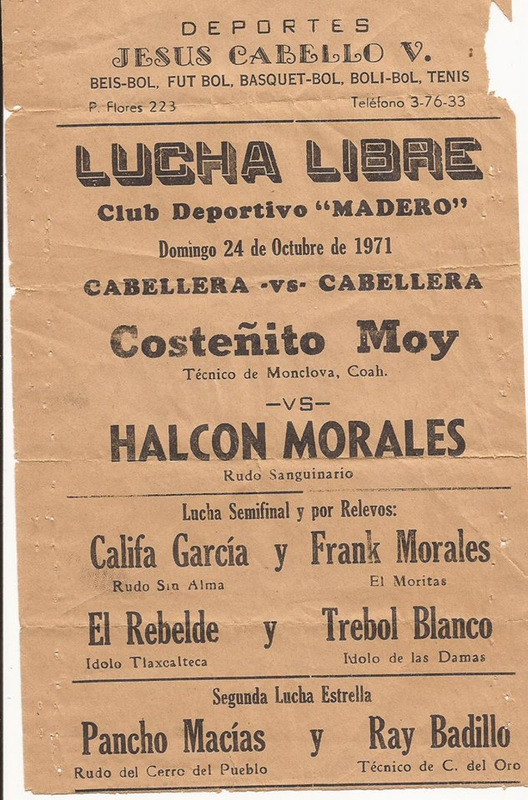 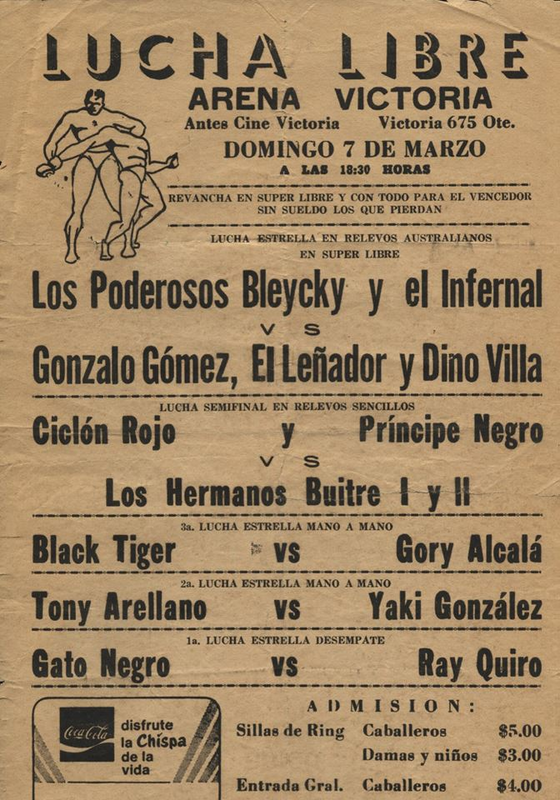 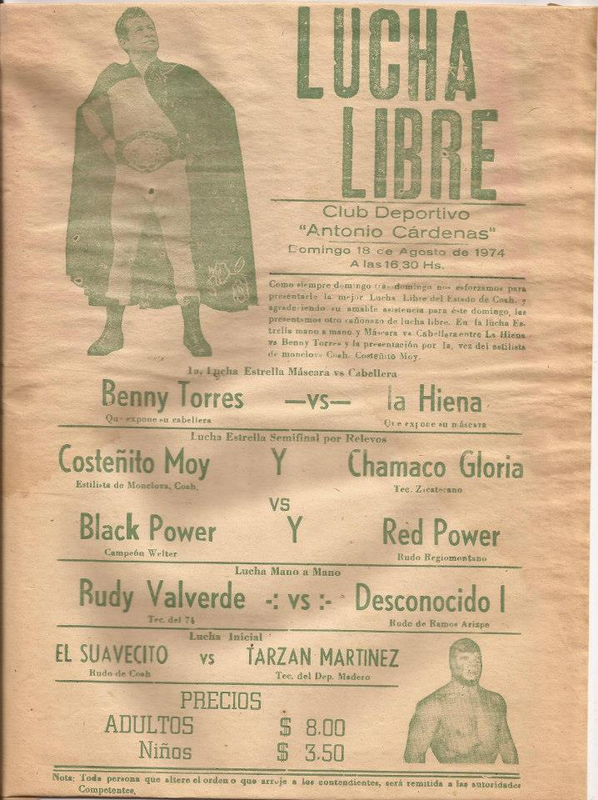 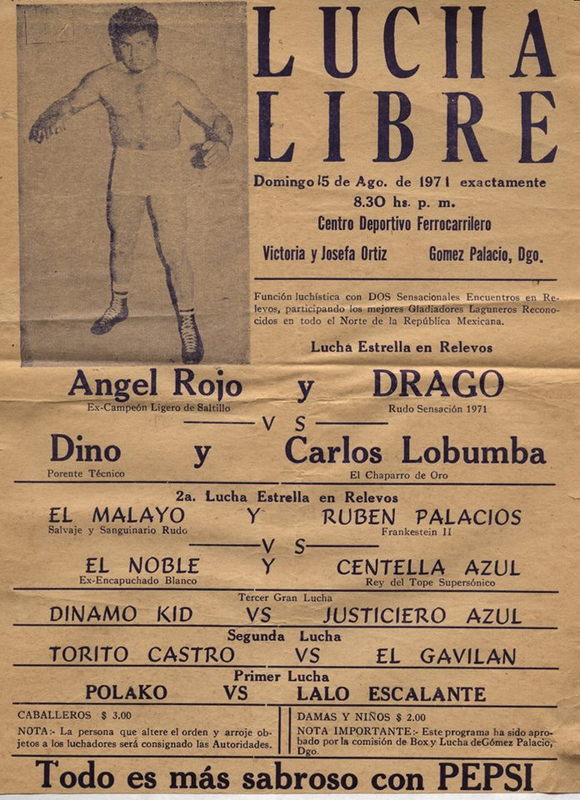 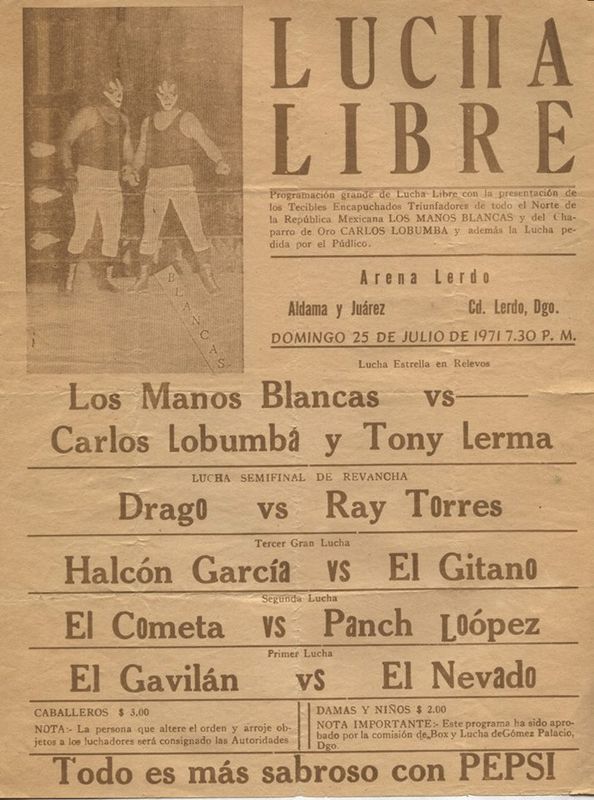 4) Demonio Rojo vs Boby Garza [mask, hair] Event Notes: Year is a guess. 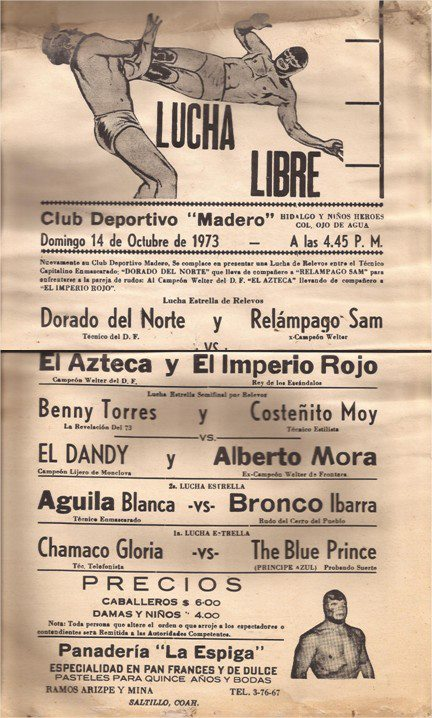 3rd Anniversary.